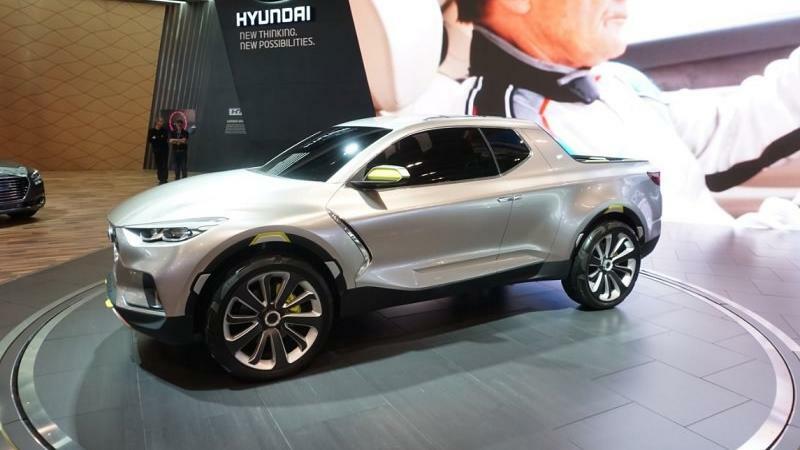 Back when Hyundai first revealed the Santa Cruz concept back in 2015, enthusiasts like us have been eagerly anticipating a production model and initial enthusiasm was strong. Over the years, with little news to go on and no concrete release date, interest has waned and fans questioned if it would go into production at all. Well, Hyundai claims the Santa Cruz pickup is still coming, we just have to be patient. Dave Zuchowski, Hyundai’s CEO back when the concept was first revealed, pushed hard for the Santa Cruz to join then brand’s car heavy lineup and it seemed to have worked because the decision was green lit for a 2018 arrival as a 2019 model. Then Zuchowski was replaced as CEO due to poor sales in the U.S. and the pickup’s plans fell through without its primary champion. There’s still interest in delivering such a vehicle. But going from concept to the showroom floor is slow going and “we have a lot of product development going on,” said Smith. “We need to prioritize.” At this point, we’re looking at a sale date sometime in 2020. I'm just glad to hear that this concept isn't dead in the water. Have no problem waiting a year or two until they can effectively bring it to market. I really hope they try to keep it a compact pickup, as there really aren't any alternatives on the market anymore. I think that will be the best way to help them stand out against the big players in the segment. At this point I'm not very optimistic for a 2020 release date with how delayed the Santa Cruz already is. I the meantime, I've gotten myself a large SUV and others who were waiting have probably gone and purchased something else in the meantime. Maybe a few leases will be up once 2020 hits, but Hyundai won't be seeing as much enthusiasm as when the pickup was first revealed. Its been what 5 years since Hyundai first announced this pickup? At least with the new Ranger coming to market and Toyota's new TRD Pro lineup, Hyundai can really look to address things that are still being missed by both those trucks. Namely a regular cab and manual gearbox. A quote I found from a Hyundai executive restores hope that we'll see some serious information sometime soon related to production. Q1 of 2019 is an important time for automakers with so many industry events happening, the SC might be revealed at one of them. "Donckerwolke said that the design of the Santa Cruz has been completed and that "the process to put it into production is now under way." I hope we get a first look at the production model soon. And if the Santa Cruz wants to compete with the fuel economy benchmarks that are being set by new models, I don't know if a stick shift is really an option. I think we should confirmation of a delivery date at some point this year. With so many good new midsizes coming to market, I wouldn't be surprised if they pushed back production to improve upon the platform to be more comparable. If that's true along with rumors of it being a 2020 model, the L.A Auto Show in November will be the last opportunity we have for confirmation. I would rather that they take their time bringing something fresh to the segment, rather than just putting a bed on the Santa Fe and calling it a day. They have the opportunity to be creative here and preview a new design language for their brand as a whole.